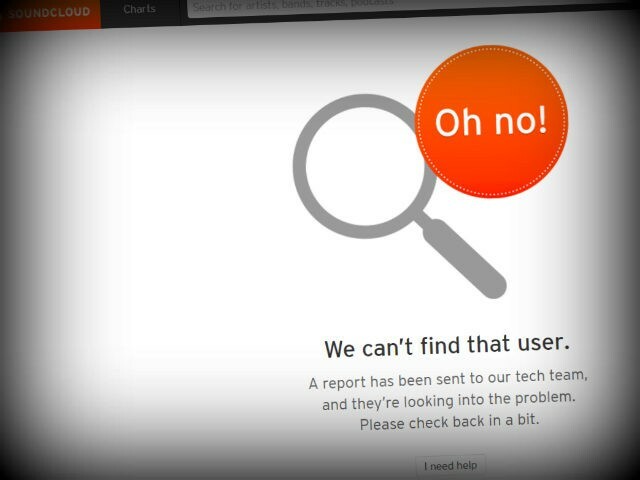 Swedish Anti-Mass Migration Podcasts Taken Down By Soundcloud For "Hate Speech"
Several Swedish language podcasts have been removed from the audio website Soundcloud after the company emailed users telling them they had broken their “hate speech” terms of service. All of the major Swedish anti-mass migration podcasts were taken off the site Tuesday including one which featured long-time Swedish mass migration critic and journalist Ingrid Carlqvist. Ms. Carlqvist, a former writer for the Gatestone Institute and media commentator who has appeared on channels such as Fox News, tweeted: “We are starting to get too popular and hence dangerous for the authorities,” in reaction to the move. Carlqvist spoke to Breitbart London saying that she suspected that Soundcloud had bowed to far-left extremist groups who wanted to shut down the podcast naming the extremist organisation Antifa as being responsible. “We have been aware for half a year or so that they would come after us in any way they could,” Carlqvist said. She added that two days before the takedown she and her co-host Conrad had started to use another platform called Spreaker which she thought may have been related. Breitbart London has seen the email sent by Soundcloud, which said the pair had violated the terms of service (ToS) by posting “hate speech”. “We will not tolerate content that promotes or encourages hatred, discrimination or violence against others based on things like race, cultural identity or ethnic background, religious beliefs, disability, gender identity, or sexual orientation,” the email stated. Former chairman of the youth wing of the anti-mass migration Swedish Democrats Gustav Kasselstrand also had his podcast “The Crooked Frog” taken down. In recent years, Sweden has had a strain of pro-censorship thought amongst media and the government. The situation has become so pronounced, that a majority of Swedes now believe that the Swedish mainstream media outright lies about the problems associated with mass migration. Only 27 per cent of people polled disagreed. The Swedish government has also been accused of censorship, especially when it comes to statistics relating to migrant crime. Earlier this year, the Sweden Democrats (SD) requested statistical information on the relationship between crime and mass migration. The government blocked their request with Justice Minister Morgan Johansson saying that the statistics were not important as levels of poverty were a better indication of criminality. The government has also clamped down on free speech online with Sweden’s minister for Culture and Democracy telling social media giant Facebook to take down “fake news” or face “compulsory measures”.